This year for Mother’s Day and for gifts in general we’re trying to do more “experiences” and less “stuff.” Ever since I was pregnant I wanted to float. I read about sensory deprivation chambers and float tanks and they seemed trippy as heck, so obviously I was in. For anyone wanting to try something a little different to benefit your mind and body? 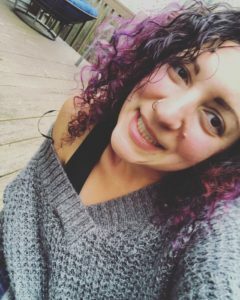 The float tank is IT! Wtf is a Float Tank? 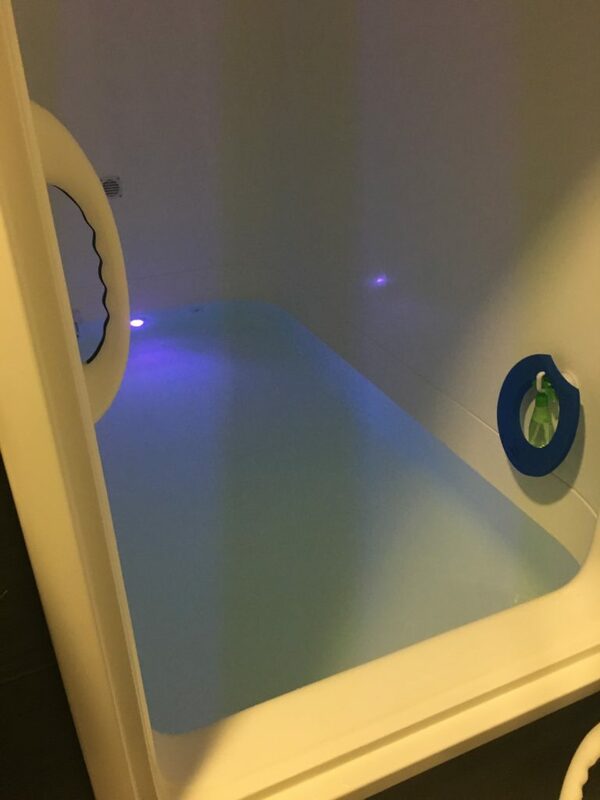 Simply put, a float tank is a chamber with about 10-12 inches of water infused with 1000 lbs of pure epsom salts to make you completely weightless. The chamber is light and sound proof so you can maximize your focus and not be distracted by the noise around you. Floating is a great way to manage stress and help alleviate pain and tension within the body. I went to a nearby float center called Purest and they were amazing. Ok, I want to try this. Now what? Book your float! Upon entering the center I immediately felt comfortable and welcome. The float rooms are clean and modern, and the area to decompress afterwards is cozy. As soon as I went into my room I took a quick shower, popped in my earplugs (as your ears will be under the water) and went in. You think you won’t float, but you will! I was immediately buoyant. The water was warm, the tank grew dark, and the music faded off after a few minutes and I dropped in. It took me a good 15 minutes to shut off. It’s really harder than you think. Kind of like when you drop in to yoga. I worked to clear my mind and once I did the water seemed to hold me. I let go of the bars and let myself float out into space. It was actually really cool and did not make me nervous. I knew I was safe and loved feeling out of my element. My body was totally weightless! I kind of visualized the solar system and other spacey objects. Oddly enough that’s the same place I tend to go during Savasana. I was only in the chamber for about an hour, but I felt like I had slept for 18! When I got out I washed the salt off (get the ears too…rookie mistake) and went back out into the real world. Overall? I’d do it again (and probably a couple style float) with Keith next time. It was such a cool way to reset my mind!